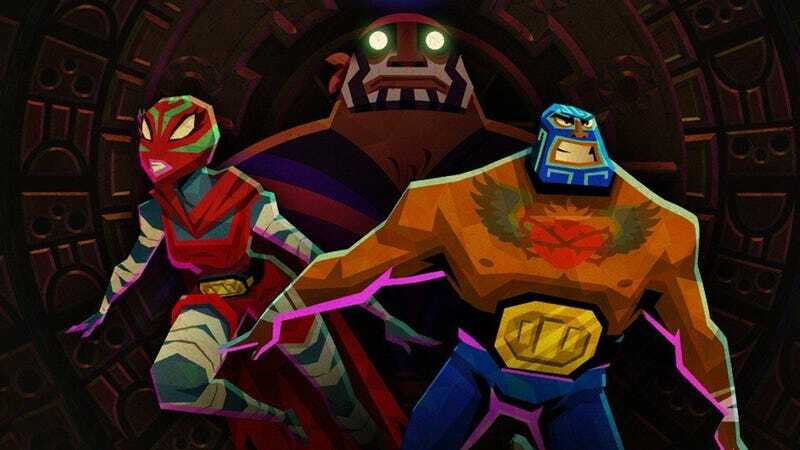 This week is all about trying to rival the Awesome Games Done Quick speedrunners with Guacamelee! 2 on Xbox One, and checking out the rootin’ tootin’ side-scroller shootin’ Gunman Clive when it comes out on Switch. A new year brings with it new games, and though January sadly won’t give us the new Animal Crossing, it does give us a beautiful exploration game, and... could that be a PS Vita game on the 15th? Neglected consoles aside, you should check out Vane, a game about a kid that turns into a bird with Journey and Last Guardian vibes. We’ve been waiting a long time to get our hands on it. Planet RIX-13 might be of interest to anyone itching for a ‘90s-style adventure game, and Smoke and Sacrifice is an interesting take on the survival open-world genre with some amazingly detailed hand-drawn art. Then, of course, there’s Guacamelee! 2, the punishingly tough platformer that gave me RSI.